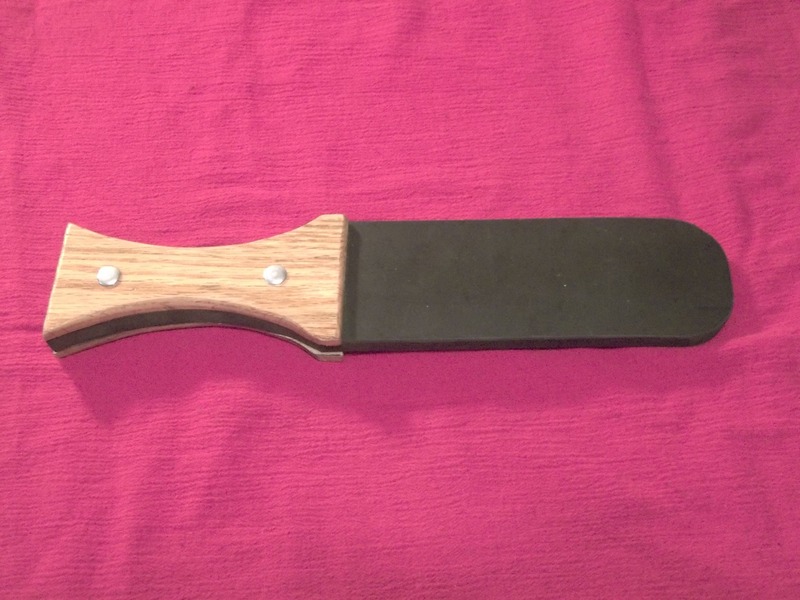 This item is a heavy duty rubber paddle with a beautiful wood handle. This paddle itself is approximately 12" long and 2 1/2" wide. The rubber on this piece is 1/2" thick. It features a wood handle of oak. This piece is a wonderful addition to have in your toy bag as a scare tactic or for use on the more advanced spankings. However, with this item, please use with caution as this item could seriously hurt someone. This, like all of the items on our site, is very unique and handmade with the utmost quality and concern for details. However, as with all items from our site, please play safely. These items can cause serious injury if used improperly. All of the items I have listed are handmade and are top quality. As each item is handmade, each piece if also unique and details may vary slightly from what is pictured. Looking for something you don't see in my store? Email us and let's talk about it. Custom orders are welcome.